Public folders were a prime function of Exchange 2003, but were slowly deemphasized over the years. On the newest version of Office 365 public folders make a prominent appearance on the Exchange administrator ECP page. Public folders are a way to allow all exchange users in the company to share and view items. 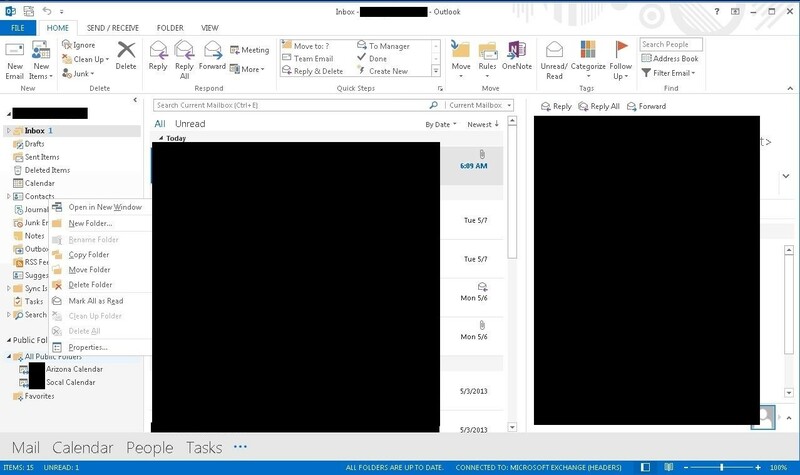 Once configured, they show up automatically in all versions of outlook at are compatible with Office 365 (which means 2007, 2010, and 2013). 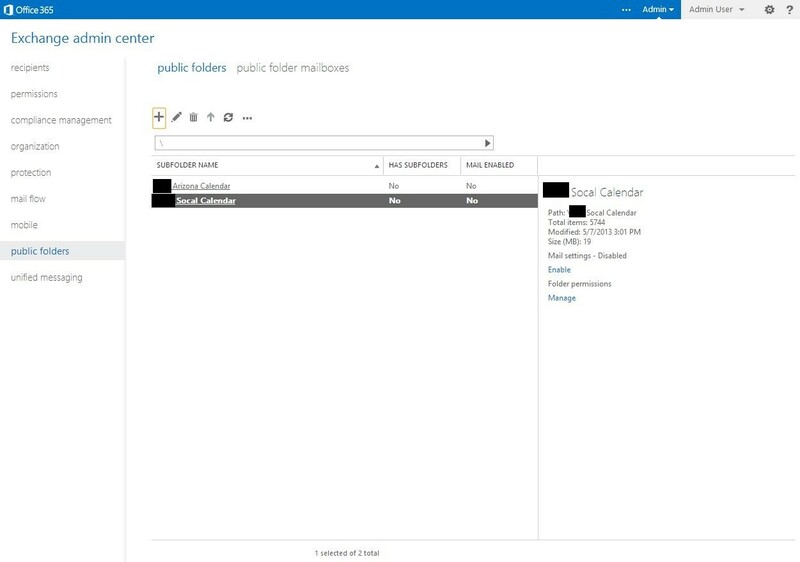 To configure public folders, you will have to start in the ECP console of the Office 365 web administration portal. So go to http://portal.microsoftonline.com and sign in as your organization’s administrator. On the top right portion of the screen, drop down the “admin” tab and click “Exchange”. This will take you to the Exchange Admin Center. On the left hand column, click “public folders” which will be located near the bottom of the list. Here you have two screens to choose from – “public folders” and “public folder mailboxes”. Before you create any regular public folders, you are going to have to create a public folder mailbox. So click over to this screen using the “public folder mailboxes” tab at the top of the screen and then click the + button to create a new one. Give it the name that you would like and hit “save”. This will contain all of your public folders, so I just named it something like “companyname Public Folders”. Now that you have created a mailbox to hold your public folders, head back to the “public folders” tab. First you want to assign an administrator or two to public folders. Obviously your company admin user is going to be an administrator, but since much administration of public folders is done from within Microsoft Outlook, then you should assign an admin or two who has mailbox (in most of the work I do, our company exchange admins are not actually mail users with mailboxes, therefore they cannot fully administer a public folder). To assign full permission, click the little “…” symbol on the toolbar. This will drop down a box that says “root permissions”. Click on this box. It will bring up a new window – add the users and permissions levels you would like. If you want this to apply to every public folder, you can click the “apply changes to this public folder and all subfolders” checkbox (I recommend this) and then click the “save” button. 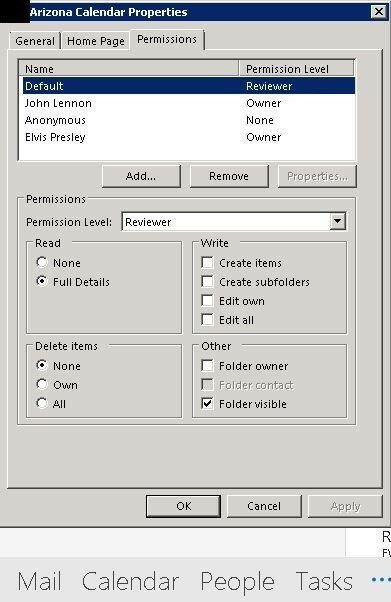 From within this public folders web admin page, you can create basic public folders and assign permissions to them. However, you can’t create specific types – only a general folder that can have mail items dropped into it. If you want to create something more specific like a public calendar or contacts folder, you have to do with from within Microsoft Outlook. To create different types of public folders or access permissions and other settings without having to log into the web portal, open up Microsoft Outlook with an account/mailbox that is assigned as one of the admins. 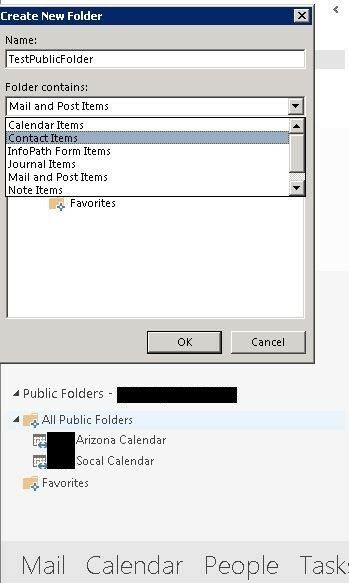 Public folders should automatically appear (you may need to click the “folders list” or press “ctrl + 6” to make them appear). Once here, you can right click on the “All public folders” icon and click “new folder”. From here you can choose your desired folder type. Once you have created it, you can right click on it, click “properties”, the click the “permissions” tab. From here you can assign and edit permissions to your heart’s content. Public folders should show up for all users in your company who use Microsoft Outlook with Office 365 – what they will be able to view and edit is purely up to the permissions you assign them. I hope this article gives you a good idea of the basics and gets you started using public folders. How do you do this with Office 365 Small Business Premium ? There is no real Exchange Admin interface like there is in Office 365.